Masquerade eye mask is made out of a durable molded plastic & decorated & trimmed with sequin. 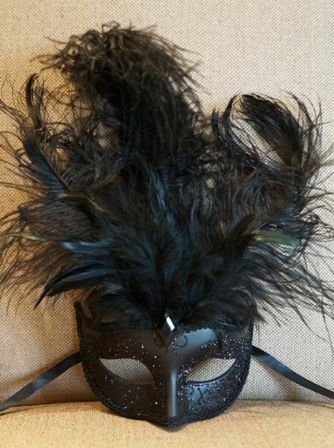 Great for a lingerie party accessory or a mardi gras themed event. Comes with ties for easy wear.